The MEC chairperson made the appeal at Bingu International Conference Centre (BICC) in the capital Lilongwe on Tuesday during the launch of the official campaign period. “As we commence the official campaign period, chiefs are expected to use each and every available opportunity, such as in funerals, weddings and traditional dance festivals, to spread messages of peace and political tolerance among their subjects,” she said. Ansah, a judge of the Malawi Supreme Court of Appeal and a former Attorney General, said the Commission has already received reports that some traditional leaders are endorsing candidates and creating no-go zones for some candidates. “This is a very sad development which should be condemned in strongest terms. The law allows any candidate to conduct their campaign rallies anywhere, provided they follow all the procedures,” she said. “May I remind all our Chiefs that it is an offence under the electoral laws to block anyone from holding a campaign rally basing on political affiliation, religion, race or creed. It is also un- acceptable for chiefs to block their subjects from attending political rallies. It would be sad to learn of a chief or some chiefs being fined or jailed because of this,” Ansah said. While assuring that the electoral body would manage the electoral process with impartiality, she said, Chiefs also have a duty to report to the Multiparty Liaison Committees (MPLCs) any candidate or political party or supporters not adhering to the code of conduct for political parties and candidates. “Chiefs are parents and all subjects are their children. In some cases disputes are referred to the chief, he or she is expected to be impartial and give sound judgments to the satisfaction of all stakeholders. Whatever electoral dispute you resolve you need to furnish the MPLC with a report,” she said. Ansah also said Chiefs are not allowed to receive cash, goods or any material with a view to influence people to vote for a particular candidate or party or stop people from voting for candidates of their choice. “Here, I am referring gifts with a view to influence his or her subjects to favour a certain candidate or political party. Such behaviour is corruption and punishable by law. Such matters shall be referred to the relevant authorities like the Anti-Corruption Bureau for prosecution,” said the MEC chairperson. 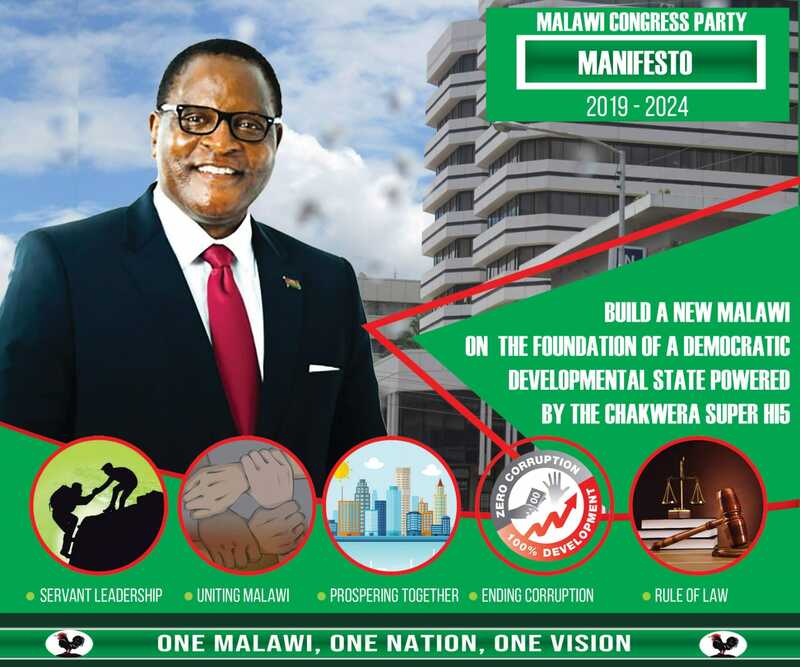 Malawi Congress Party (MCP) supporters booed paramount chiefs Lundu, Ngolongoliwa and Kyungu when chief elections officer Sam Alfandika called them to collect a copy of the newly-launched communication strategy booklet. In contrast, the same MCP members gave a deafening applause when it was the turn of Inkosi ya Makosi Goman V, Paramount Chief Chikulamayembe and Inkosi ya Makosi M’mbelwa V to collect theirs. Ansah also challenged candidates and political parties to practice modern politics by engaging in issue-based campaign. “The political campaign ought to highlight the outlook of the parties and, therefore, guide their perceptions of the State, society and the economy. “The era of taking the campaign period as an opportunity or instrument to harass, humiliate, demonise, defame, intimidate and repress political opposition is over,” she said. The MEC chairperson said the electoral body seeks to hold free, fair and credible elections. She said they have capacity to monitor all campaign activities. So how exactly do you expect to win votes in our areas of you boo our traditional chiefs? DPP will carry the day MCP ifune isafune. UTM ifune isafune. UDF Ifune isafune .The writings are clear on the wall. khalani ndi ubulutu wanuwo bambo. Mulungu ndi malume anu kuti mukanene kuti MCP sidzalamulira? Those who were booed must learn a lesson. Who do people say that yo are? Because those booed are political fools. YOUR FRIENDS IN US, WHO ARE THESE FRIENDS OF YOURS MY FRIEND? DO YOU FOLLOW US POLITICS OR YOU ARE JUST COMMENTING? USA yake iti ? Kungomva kuti isan trump was booed dzana lomweli. ukawafunse mafumuwo, ife ndi mafumu?